Fears of a macroeconomic slowdown are in the air. I wrote an article in Business Standard today, arguing that if and when a slowdown commences, it will be nasty, because India lacks the macroeconomic policy framework for stabilisation through fiscal policy and monetary policy. While on this subject, you might like to see this paper. 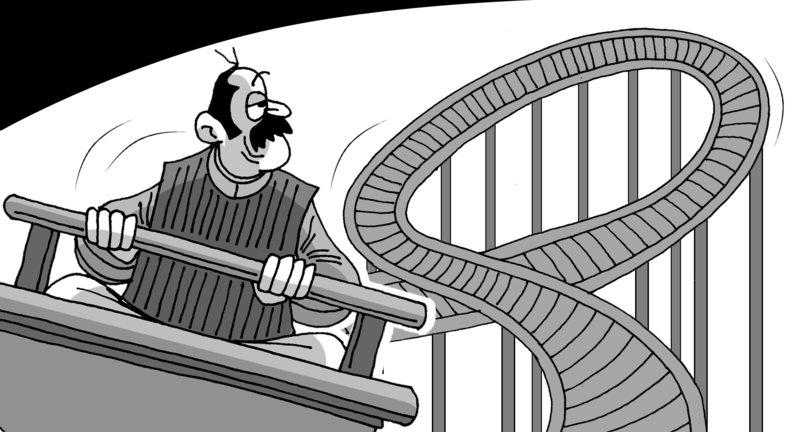 Despite the flaws as mentioned in your article - Stabilisation of business cycle, a faulty framework of fiscal policy and monetary policy, if we see in relative terms to our emerging Counterparts like Brazil, China, Russia (BRICs), we have potential to limit the downside of a slowdown as we are not among the major exporter countries. As we know Brazil’s main exports are iron ore, coffee, and soybeans, while Russia’s main exports are oil and natural gas. As for China, their main exports are electronics and machinery, and India’s primary exports are textiles, jewelry, and machinery, IT services. True, Global slow down would have a dismal impact on some specific sectors of india yet it would not stymie the domestic-consumption & relative growth of India in macro terms. With the advantage of 50-60 million Middle class groups & 55-65Percentage of the young age Population, we would be arriving in a situation where we would have an absolute advantage over the emerging countries. To me, our Indian growth-story is more to do with Domestic-consumption and little about Globally-fed. In percentage terms of growth 8 % GDP growth might slump down to odd 6-7 %. Though, 6-7 % is relatively Solid numbers for even next five years. The slowdown impact will not damage our economy as severely as it would be to our counterparts except Russia. India and the whole world actually have entered in a lull kind of phase for couple of years or may be more. I completely agree on the faulty framework of fiscal policy and monetary policy issues. As with the framework of fiscal policy and monetary policy, we should first have a stable political system to have sufficient time-frame, resources to help implement new reforms & policies. Yes this is very well going to happen especially in the face of lackadaisical budget our FM has recently presented.